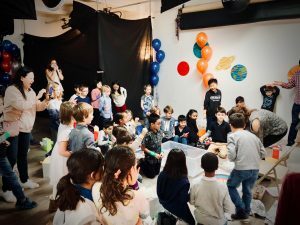 Do you have a young scientist in your family? 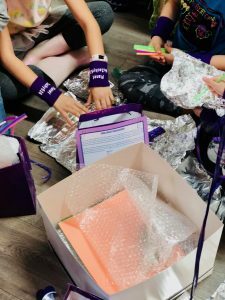 Someone who is interested in problem solving and loves hands on projects? 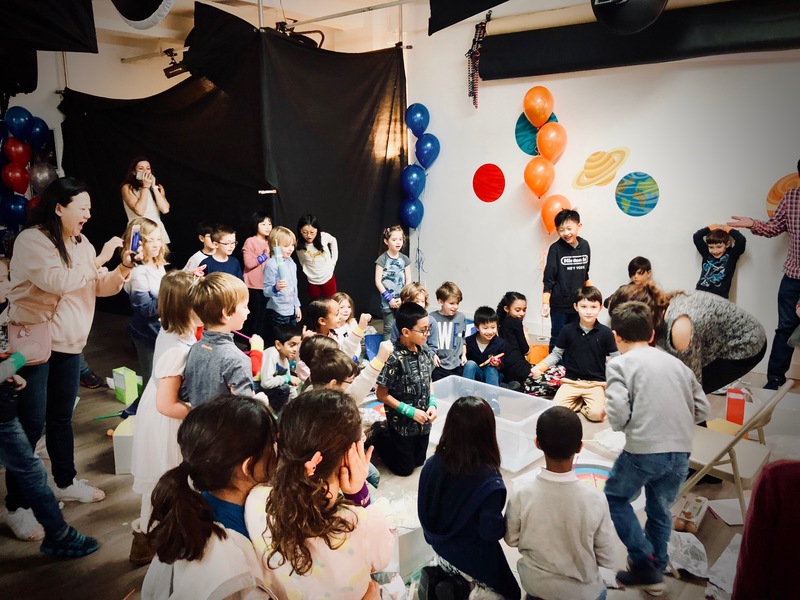 We had the best time creating a special 8th Birthday Party for our client’s STEM (Science, Technology, Engineering and Math) loving son! 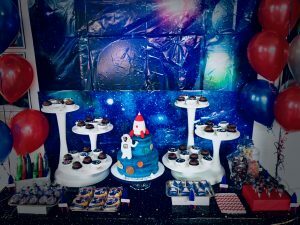 Our client wanted a unique and memorable party for her second grader. 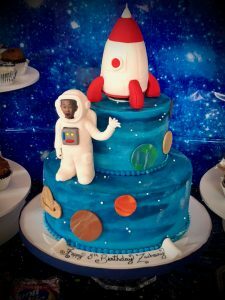 He loved the movie Apollo 13 and was fascinated with how the crew repaired their ship with only the tools provided in the their emergency box. Our mission was to create a theme for the party that incorporated teamwork, problem solving and creativity! 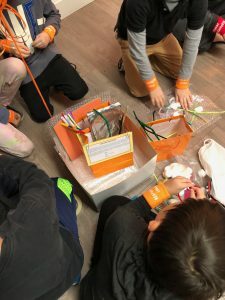 For our second graders, we created one essential mission: find an alternate source to power cars and machines on Earth without pollution to the environment on a newly discovered planet. 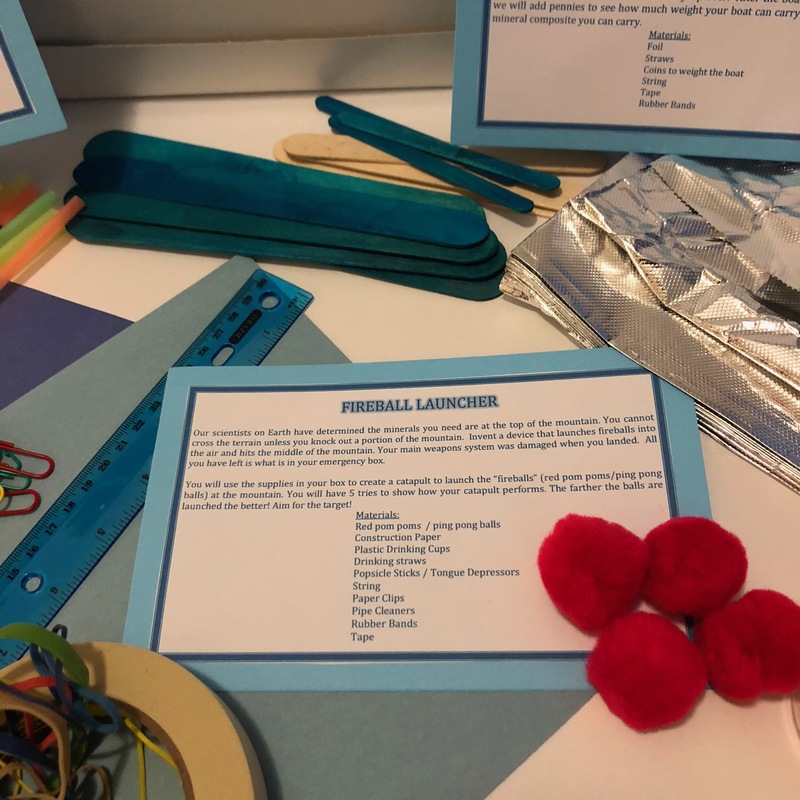 The teams were given three different STEM tasks to complete the mission. We divided the children into space exploration teams from Earth comprised of “highly decorated and elite masters of space” identified by color. 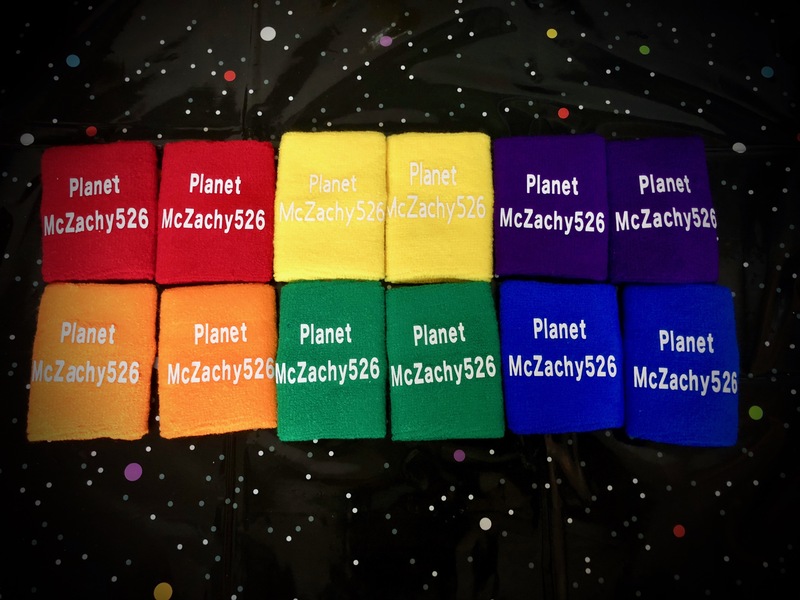 We had custom wristbands created by Sassy Syds Boutique as a party favor and to help divide the teams. 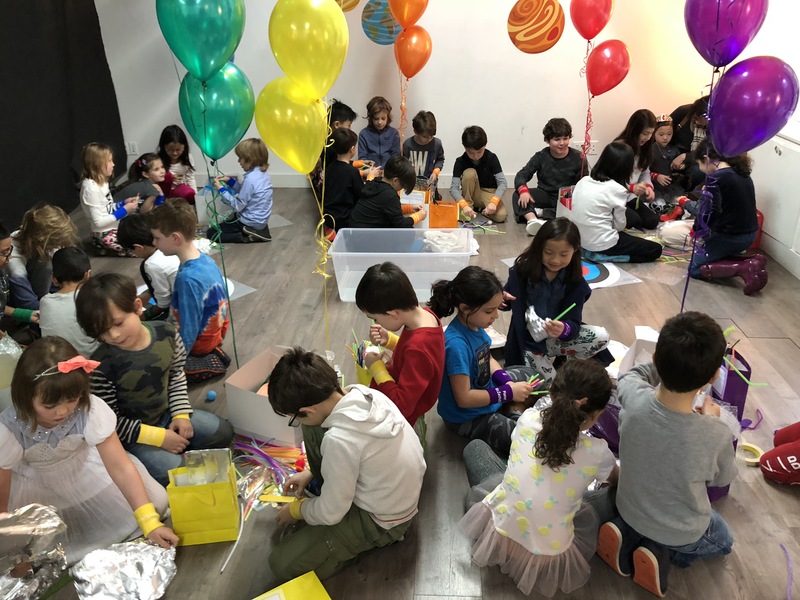 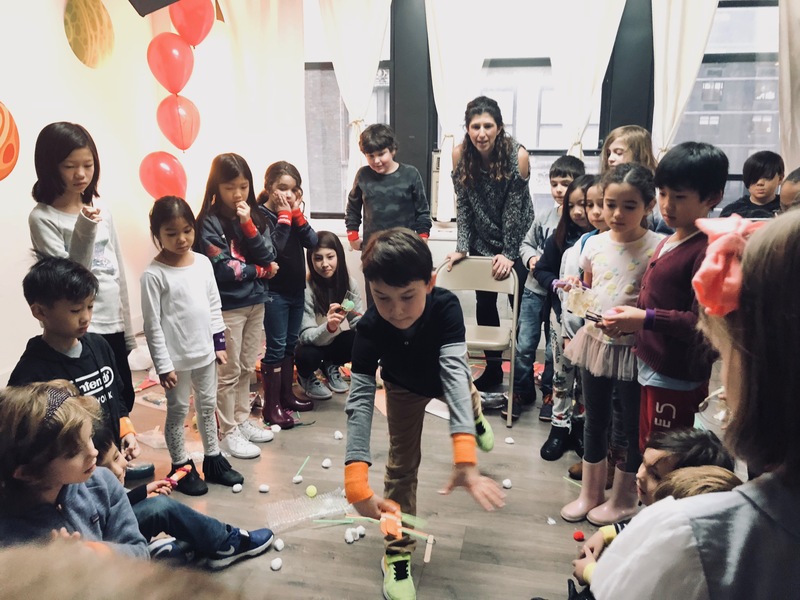 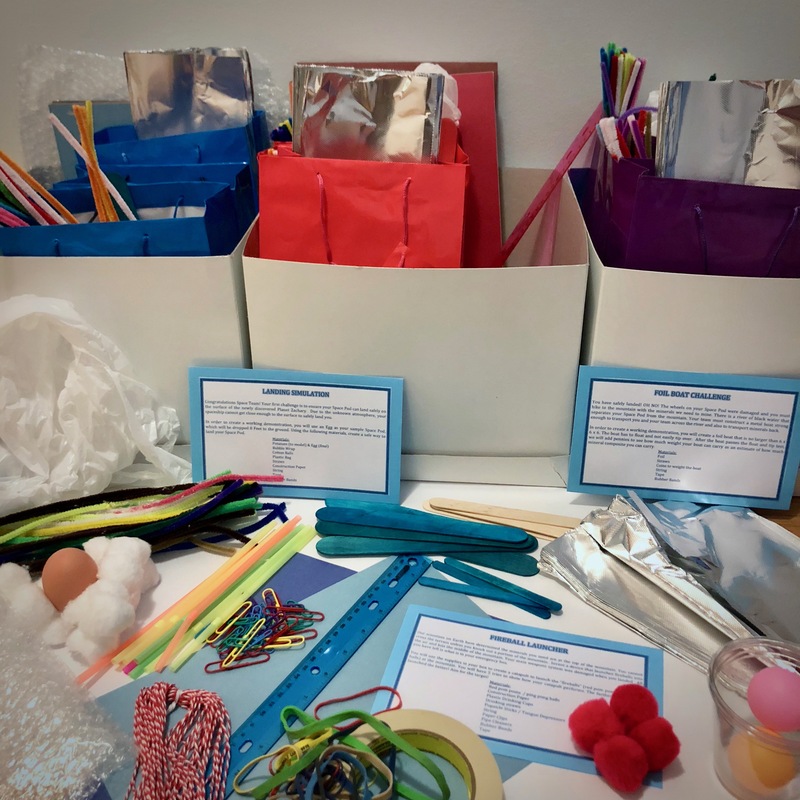 The only available resources to complete these tasks were provided by their emergency boxes that were marked off by color with simple balloon trees created by Balloon Kings NYC. 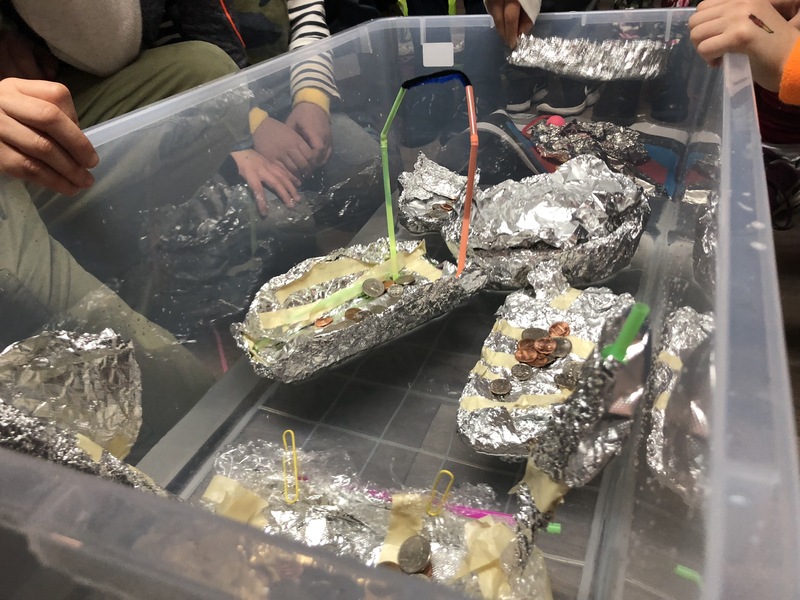 Together, the teams completed a Landing Simulation, a Boat Challenge and a Fireball Launcher using recyclable materials and everyday household objects. Each completed task was presented upon completion and tested for its validity. 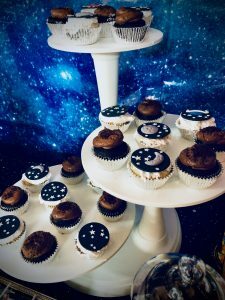 After all of that hard work, our little explorers were in need of some serious fuel so we styled an Out of this World Dessert Table. Unique themed treats such as Galaxy Pops, Moon Pies and Cosmic Rocks were provided by Candy Warehouse. 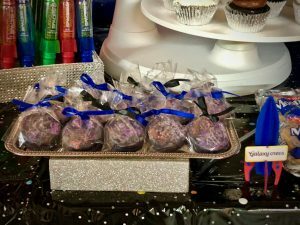 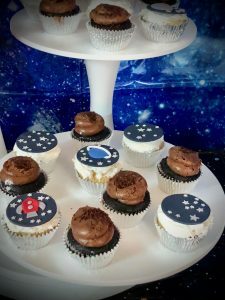 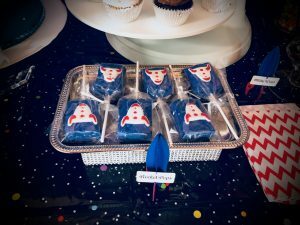 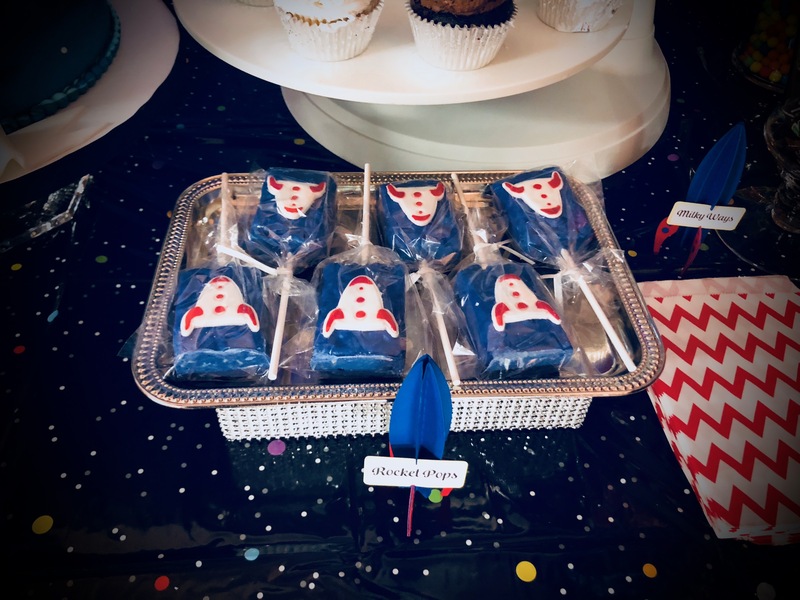 Custom Rocket Pops made out of rice krispie treats were created by Mizz Desserts, corresponding Galaxy Oreos created by The Chocolate Girl and Space Exploration Fondant Cupcake Toppers designed by It Can Be A Piece of Cake added delicious details to the dessert table. 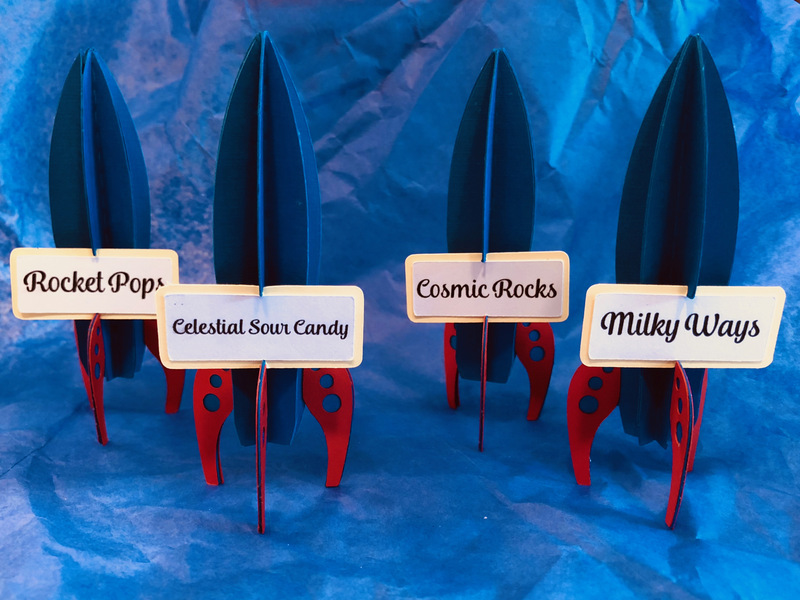 Chique Design created the incredible and unique rocket ship food labels to tie all of these pieces together. 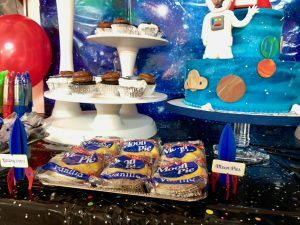 The centerpiece of the dessert table was the extraordinary cake designed by Butterfly Bakeshop. A stacked two-tier planet and star studded cake complete with a 3D Rocket Ship and edible print out of our guest of honor that matched our party logo. 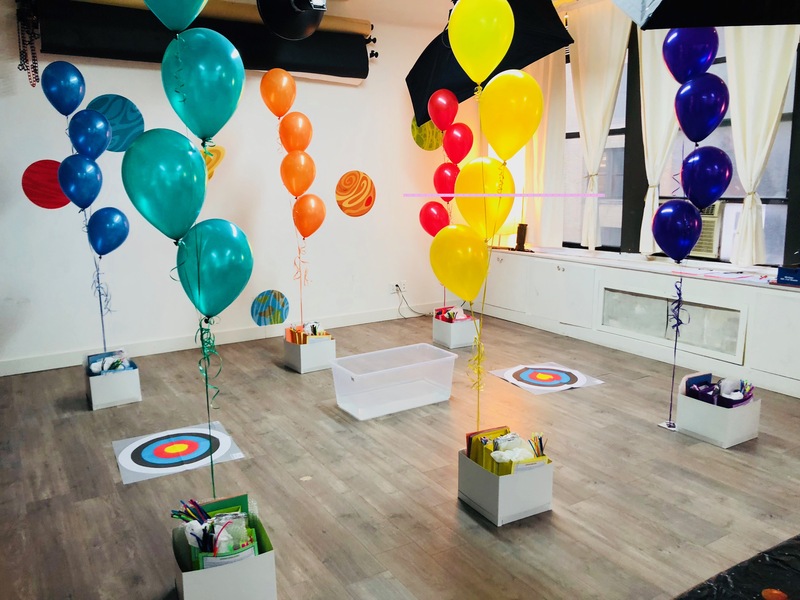 The look and feel of the room was complete with outer space tablecloths, planet cut outs and backdrop from Oriental Trading. 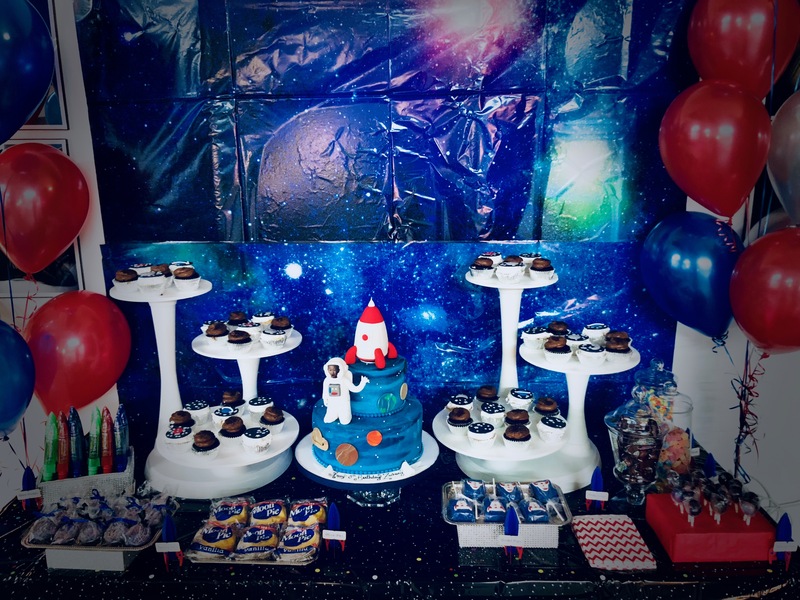 For more unique and creative party ideas, check out our website for information and on Instagram and Pinterest for more party shots!